breed that highly adaptable and very intelligent. The Rhodesian Ridgeback is a simply stunning breed that highly adaptable and very intelligent. Known as the African Lion Hound they are very powerful and loving dogs. 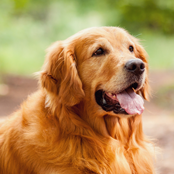 Their loyal natures make them an attractive breed for families or one-person owners. 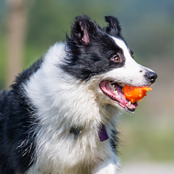 They are very athletic and require a stringent exercise regime to keep them happy and healthy. 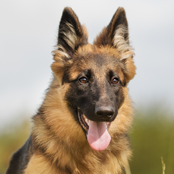 Despite their intelligence this breed can be a challenge to train. They are known for being sometimes suborn dogs, so the trick with training is to start young. Your young pup will thrive on early training; however, your older Rhodesian may just flat out refuse. 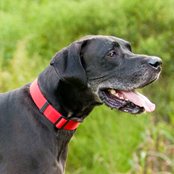 They are strong confident dogs and in-turn, need a strong confident leader. For this reason, they are not advisable for first time dog owners. Training is a must, particularly as the grown Rhodesian will require a decent amount of exercise to keep them happy. Running and jogging on-leash is one of their favourite past-times as too a good game of fetch at the local off-leash area. 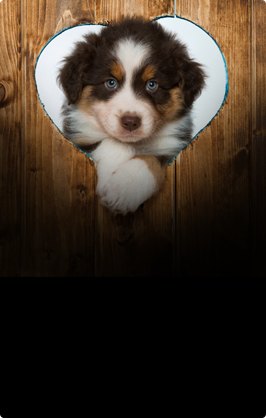 Your dog will need to learn these things as a pup rather than a boisterous dog. Socialisation is also vital from a young age. The more you expose your pup to other dogs (fully vaccinated in safe areas), people, other pets and situations the better. Experts also advise having your Rhodesian de-sexed to prevent problems with aggression and other male dogs. Their short slick coats require very little grooming. However, they will benefit from a weekly rub down with a rubber mitt to keep the coat and skin in good condition. 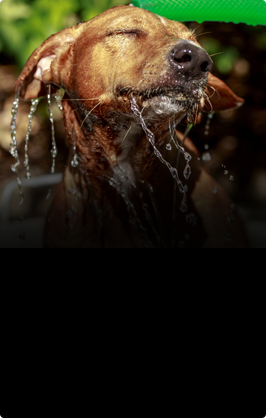 The Rhodesian is also not a smelly dog and will only require a monthly bath or after discovering something stinky! Get in the habit of clipping your dog’s nails as a young pup. If you are unsure on how to do this, ask your vet to show you at your next vaccination or check-up visit. Keeping a large dog’s nails short is good practise to ensure you dog is comfortable and to avoid any accidental scratches. The Rhodesian is an intelligent dog, and perhaps explains the stubbornness in training as an older dog. Having the ‘what is in it for me?’ approach. This is when fun and creativity needs to come into play. They need to want to work with you, not for you. The breed is also known for being masters at creating their own entertainment. Meaning; if you do not exercise your pup or grown dog adequately they will become very destructive. Utilising boredom busting ideas, alongside a good exercise and training regime will starve off boredom. The Rhodesian will simply adore and love those he has grown-up with. Care does need to be taken with toddlers in regard to the Rhodesians large size, however basic training from puppyhood can eliminate much for this (for example teaching your pup to ‘wait’ before pushing past anyone through doors and walkways etc). Early socialisation is a must. If you do not have children it is important that your Rhodesian pup interacts with children regularly, as too other pets, and people. 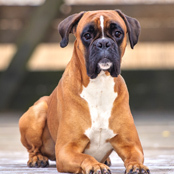 This breed does well outside and can tolerate the heat well. However due to their coat, they can feel the cold during the cooler months. Like all dogs please ensure your pup and growing dog has adequate shade and shelter all year around. The Rhodesian also needs good strong fencing to prevent roaming. If bored the breed is known for busting through fences for some roaming entertainment. But many will be found curled up inside in a sunny spot after a good jog alongside their favourite person.